 Through our property selling services offered in the area and across the West Midlands, Love Your Postcode has earned a strong reputation in the local market, becoming one of the most in demand estate agents in Rowley Regis. Rowley Regis is a historic parish and former municipal borough, in the Black Country region of the West Midlands. Considered one of the six ‘towns’ that comprise the modern-day Sandwell Metropolitan Borough, it encompasses the wards of Blackheath, Cradley Heath and Old Hill, and Rowley Village. What’s the average house price in Rowley Regis? Last year, most property sales in Rowley Regis involved semi-detached properties which sold for on average £149,250. Terraced properties sold for an average price of £135,395, while detached properties fetched £232,844. Rowley Regis, with an overall average price of £163,401, was similar in terms of sold prices to nearby Oldbury (£156,782), but was more expensive than Cradley Heath (£154,318) and Tividale (£153,282). During the last year, sold prices in Rowley Regis were 12% up on the previous year and 30% up on 2007 when the average house price was £125,705, says Rightmove. The average price for property in Rowley Regis stood at £157,742 in November 2018. This is a fall of 1.44% in the last three months (since August 2018) and fall of 1.71% since 12 months ago. In terms of property types, flats in Rowley Regis sold for an average of £100,343 and terraced houses for £132,377. This is according to the current Zoopla estimates.